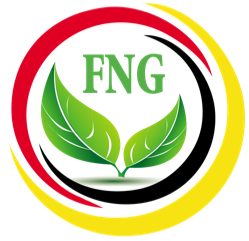 FNG is committed to supporting our Indigenous brothers and sisters and their communities putting the environment first. Our goal is to remain technologically advanced in the best interest of the environment including sustainable water treatment for 7 Generations. Clean Water is most important to each 4seasons Community Garden Farming Co-op project. We work in partnership with local Indigenous Communities to help the poorest and most marginalized communities through our practical and sustainable water system. Our natural water treatment projects will improve the sanitary and hygiene conditions of Indigenous Communities. They must meet their real needs, and service each Community Garden Farm Co-op Facility with the very same innovative water treatment technologies that we make available to every First Nation and or Inuit community that we work with across Canada. Our goal is to create a working relationship between each 4seasons Garden Farming Co-op facility, the city, and the environment. First Nation Growers community water projects include four vital and inter-related components, which combine help to maximize health and development benefits. Clean water, basic sanitation, hygiene education and natural foods farming are the ABCDs of project development—the building blocks toward a better future for every community, making water fit for both community garden farming and human consumption. We use new, practical, locally appropriate, cost-effective, and innovative water treatment technologies so to ensure that operational maintenance requirements for the new water supply and sanitation facilities can be quickly learned and adopted by each local Indigenous Community, regardless of geographical location. All aspects of First Nation Growers Community Garden Farm Co-op projects are designed and implemented with long-term sustainability in mind. Upon completion of each project, community members will be equipped with all the tools and knowledge required to manage and maintain their water treatment and new-age community garden facility. FIRST NATION GROWERS Community Garden Farm Co-op’s address the water treatment needs of every community project across Canada regardless of location and or isolated remoteness. The FNG Water treatment platform allows for the integration of clean water supply into any remote Indigenous and or Inuit Community Canada broad. We will provide control of multiple tower flows, increasing overall efficiency and access to a clean, natural water supply for every 4seasons Community Garden Farm. FNG is committed to supporting our Indigenous brothers and sisters, and their communities. All this must be achieved with great respect for Mother Earth. Our goal is to remain technologically advanced in the best interest of the environment for 7 Generations. Electrical power generation and consumption efficiencies are significant to every individual 4seasons community garden farm project. Generated electricity is immediately consumed as it is produced. Because a generator needs to operate at variable output levels, it will not always be able to run within its most efficient range. In remote commercial operations and living communities, where there is no access to the grid, and the primary source of electricity is a fuel-based generator, the effects of immediate consumption are ever more prevalent. Energy costs are directly proportional to the delivery charges, storing, and burning fuels. However, when critical infrastructure relies on generators, efficiency isn’t necessarily top of mind. Stored energy shifts the paradigm from immediate consumption to stored energy. By saving energy, a generator does not need to operate 24/7 at variable output levels and can instead run for fewer hours at much higher efficiencies. Similarly, with other renewable sources such as solar PV, a solar array can output maximum power where excess energy is stored during the day and consumed in the evenings. Stored energy shifts the paradigm from immediate consumption to stored energy, thus saving diesel fuel delivery, warehousing, and burning costs, along with putting the environment first. FNG 4seasons Community Garden Farms address the energy needs of each Indigenous Community across Canada regardless of location and or isolated remoteness. Our Containerized Universal Battery platform allows for the integration of energy storage into any remote grid, micro-grid, or behind the meter application. This system authorizes the control of multiple power flows, increasing overall efficiency and reducing community energy cost. At FNG we continually engage emerging technology with the goal of remaining technologically advanced in the best interest of the environment and our First Nation/Inuit partners. We include renewable energy resources for both ‘community-owned’ projects and other third-party-owned facilities, whose power-source can be shared by the entire community through a comprehensive pre-planning process. “Renewable energies” is an important concept worth consideration to every town and each FNG project. We work in partnership with local Indigenous communities and technology innovators to help the poorest and most marginalized communities by creating efficient and renewable energy communities and facility resources. This form of partnership allows us to assist in meeting the real needs of each community with innovative technologies. We then make this technology available to every First Nation and Inuit community that we work with across Canada, creating a cohesive relationship between community, environment and our 4seasons garden farming Co-op facilities. The primary purpose of an FNG SHARED SOLAR POWERED FACILITY is to allow members of a community the opportunity to benefit from the use of solar power even if they cannot or prefer not to install solar panels for themselves. Partner communities benefit from the electricity surplus generated by the solar powered community garden farm facility, which can cost significantly less than the price they would ordinarily pay to their utility or fuel provider. There are many reasons why a community would go solar, but improving the environment, cutting energy costs and taking control of their own communities’ future is the most common. Many are aware that solar is a crucial factor in regaining control of their population growth, a significant community efficiency upgrade and a significant factor in reducing energy costs and their carbon footprint altogether. Whether you’re a remote Indigenous community, a homeowner, business, or non-profit, electricity and diesel fuel costs can make up a significant portion of your monthly expenses. With a solar panel system, you’ll generate power for your system’s entire life cycle. Even if you don’t produce 100 percent of the energy you consume, solar will reduce your utility, electrical, and or diesel fuel costs and you’ll still save a lot of money doing so. Solar panels aren’t an expense – they’re one of the best ways to invest, defraying the outbound costs of a community, with returns rivaling those of more traditional investments such as stocks and bonds. Thanks to substantial electricity savings, the average Canadian pays off their solar panel system in seven to eight years and sees an ROI of 20 percent or more over the life cycle of the system. One of the most apparent cut benefits of solar panels is the ability to hedge utility prices. Solar energy also delivers environmental benefits. Many homeowners, businesses, and non-profits go solar because they are focused on minimizing environmental issues like climate change and health problems related to carbon emissions. The electricity that solar panels produce is entirely emission-free. When you use renewable solar energy to meet your energy needs, you reduce the demand for electricity and or diesel fuel consumption from your utility. As a result, your utility plant emits less carbon when producing the power needed to meet demand. Depending on the resources that your service uses to provide energy — many are still reliant on fossil fuels like electricity, diesel fuel, and coal—the impact of your decision to go solar significantly favors mother earth and our environment. Most locations in Canada get enough sunlight to produce sufficient electricity from solar panels. The most important factors to consider when you evaluate your solar panel options are the rates you pay for electricity and or diesel fuel and the rebates and incentives available to you. Our FNG solar-powered community garden farming facilities with the right planning can generate enough power to meet your community utility needs. Waste management is all about how to dispose of the things you don’t want. Where most think Waste Management – FNG is thinking Sustainable Materials Management! First Nation Growers believe everyone has the right to live and work in a clean environment. Because of remoteness and in some cases low incomes, many Indigenous Communities feel they have limited to no options to safely and securely improving their waste management and collection methods. FNG Community Garden Farming Co-op Facilities bring improvements to the health of the communities that we work with by creating a safer and healthier place to live and work. Our commitment to each project is achieved using sustainable materials management practices. Ultimately, the goal of our FNG recycling program is to maximize the recyclability of our community garden farming materials. Affluent societies often see it plainly as garbage or an environmental problem, but in many communities, waste can be an essential and flexible source of income and can provide raw material to many sectors of the economy. One of our FNG goals is to remain technologically advanced in the best interest of the environment by providing innovative project technologies in waste management resources. We will ensure our project will be available to each First Nation and or Inuit community that we work with across Canada, creating a cohesive relationship between community, environment and each 4seasons garden farming co-op facility. Composting is a basic FNG sustainable waste management practice that converts any volume of accumulated organic waste into a usable product. Organic wastes are broken down by microorganisms in a heat-generating environment. This process will reduce the waste volume, along with destroying harmful organisms, and create a marketable product in the process. Composting is a process by which organic wastes are broken down by microorganisms, generally bacteria and fungi, into simpler forms. These microorganisms use the carbon in the bi-product as an energy source. The degradation of the nitrogen-containing materials results in a much more uniform product creating a soil amendment that FNG makes use of in our vertical grow rooms. Advantages of composting include reduction of waste volume, elimination of heat-killed pests, and the generation of beneficial and marketable materials. Adding compost to soil increases organic matter content, in turn, improves many soil characteristics and allows for the slow release of nutrients for crop use for subsequent years. FNG takes a collaborative approach. Community-Private Partnerships for service delivery is one of the proven strategies for resource management planning. The primary objective of the program is to promote sustainable, self-supporting partnerships between each Community Garden Farm Co-op Facility and local Indigenous governments to support the formation and operation of new enterprise-community co-operation in solid waste management and recycling systems. The primary goal of the FNG Sustainable Materials Management program is to stimulate community co-operation and minimize adverse effects of waste in Indigenous Communities and improve the lives and livelihoods of Canada’s 1st peoples and the Indigenous Communities that we work with.